Sometimes i find it crazy to think how much i grow and change each year. Sometimes i look back at 2015 or 2016 and i feel like a different person. The changes made havent always been visible from the outisde, but they have been mental changes and stepping outside of my comfort zone and just becoming a stronger person physically and mentally. I am not saying that i was unhealthy or in some way i "bad" person my previous years, all i am saying is that i was healthiest and the best i could be with the knowledge and experience i had back then. And now in 2017, i am the healthiest and happinest i can be with my life situation and my experiences, but i am sure in 2020 i will look back on this year and who i am now and will see how much i have grown and changed. Life changes all the time, alll these different situations and expereinces you go through and memories you create, they all change YOU. Its funny how in just a moment it can feel like your life is falling apart or it can feel like you change within a blink of an eye just from a certain experience. Or in some situations it feels like you mature 5 years just from having to deal with different things in life. Life is about growing and changing and it is rather amazing. It is even more amazing when i speak to elderly people who are 70/80 years old and they talk about how they are still learning new information and growing in different ways. 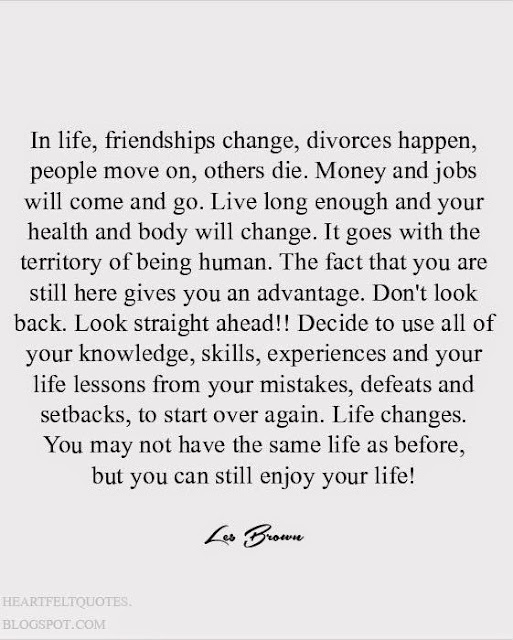 Life wont always be the same and life will change you in different ways. The person you are now or the way you think now might not always be the same. One thing i also love is when people can admit to past mistakes, when people can learn and grow from them. People who think they never do any wrong or are never wrong or have never made mistakes can irritate me. Because of course mistakes are learning experiences and mistakes dont necessarily have to be bad... ive made mistakes in the past - said and done things i regret or shouldnt have - but i have also learnt from them and they have changed me, so the mistake wasnt necessarily a negative thing, but it was however a mistake. And there is nothing wrong with that... as long as you dont keep making the same mistake over and over. I personally believe there is strength in people who can admit to making mistakes, or people who can admit to being wrong at times or just people who are willing to grow and change... not stay stuck in the same comfort zone or situation all life. 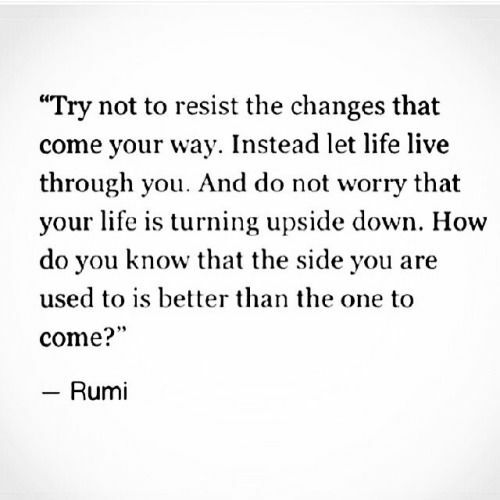 But let yourself change with life! 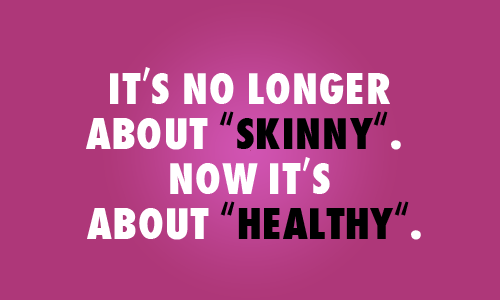 It doesnt hurt to mention either that your body also changes throughout life. The way you look when you are 15 isnt necessarily the way you look when you are 21. The way you look when you are 25 isnt the way you will look when you are 35 etc etc Your body changes and thats ok as well. Learning to love your body is the most important, no matter how it changes - but always trying to aim for a healthy body and healthy mindset! Change can be scary but its important to embrace it as well. And realise that you will change, your mindset about certain things might change, your behaviours, your life, your current situation isny your final situation!! Embrace change. Spend some time today thinking about the ways you have changed over life - whether they are negative or positive changes, and maybe think about how you can change the negatives to better ones!! Wow - this post was really thought provoking! I look back sometimes to how/where I was 2,4,5 years ago and realise what a different person I am now to who I was then - I mean I`m still "ME" but my thoughts have changed, my priotities are different, my out look has changed. I try to learn from my mistakes too and sometimes I wonder just how it is that you do something, convinced that it is ok and the right thing to do then in hindsight realise that you were infact making a mistake! How does that happen? !